We all have it. A project we've started. But not finished. Maybe you started it yesterday. Maybe it was a decade ago. It doesn't mean that you'll never finish it... it just isn't finished right now. 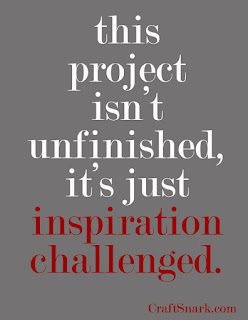 You lack the inspiration to get your project to the finish line. With the New Year starting, people are resolving to work harder, do more, and make things happen. But I'm giving you permission. 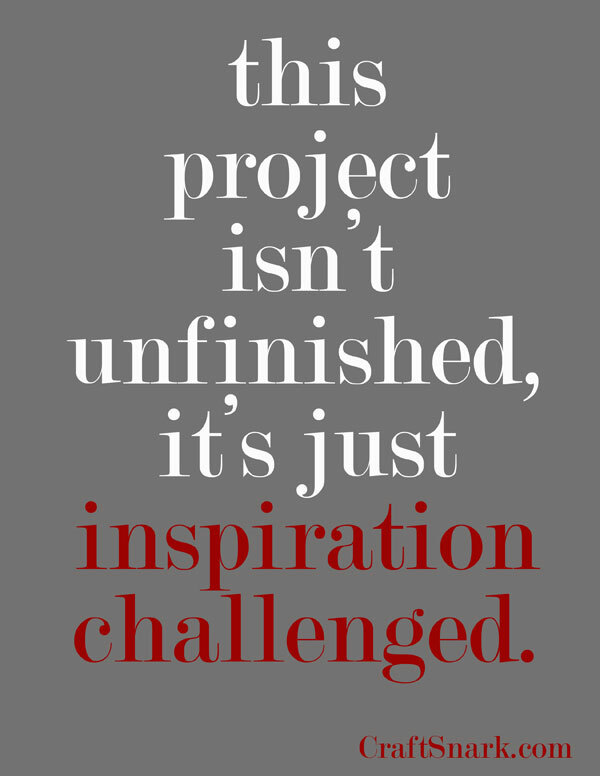 Permission to let the project lie if the inspiration isn't there. Let it sit, and wait for the brilliant flash of inspiration to come... or let your grandchildren find it and figure out what to do with it long after you're gone. Either way, feel free to start a new project if that's the way that inspiration moves you. After all, you don't need my permission to do what you were planning on doing anyway.